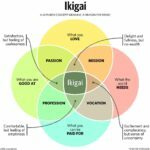 What caught my eye this week. Hey Millennials! Top tip time! One of the best ways to improve your chances of owning your own home is to make sure you’re born into a family where your parents do, too. Those with the richest parents are the most likely to own a house by the age of 30. Roughly a third of people in this category were homeowners themselves by the time their 20s were over. They are followed not far after by those in the second two quartiles who both had about a 28 per cent chance of owning a house in their 30s. Then, much further behind [are] those whose parents did not have any property wealth at all, who had just a 13 per cent chance of becoming a homeowner. So there you have it – be lucky babe! I mean it’s sweet that you’re skipping your avocado toast and all. Of course he didn’t have to pay for an iPhone or any similar nonsense. But he would happily have gone without such frippery and stayed in counting his bedrooms for fun instead if he’d had to. Because that’s just how tough we were back then. Like these links? Subscribe to get them every Friday! Thanks for reading! Monevator is a simply spiffing blog about making, saving, and investing money. Please do check out some of the best articles or follow our posts via Facebook, Twitter, email or RSS. Weekend reading: What is your reason for being? Their prices are getting ridiculous lately, well into diminishing returns territory. My current phone which still works (just about) was top of the range when i bought it 4 years ago, at around the £350 mark. A top of the range now is about twice that, delivering practically the same perceived performance and functionality. The good thing is a mid-range phone, better-speced than my old flagship one can be found for even less money than 4 years ago… so there’s that. Buying a flagship today to signal that i can too pass a credit check… nah thanks. Regarding the affordability of housing for young people. Looking at my local area, south coast , reasonable area , 2 bed flat , £140k. Buying is cheaper than renting ( £800pcm to rent) mortgage cost looks to be about £600 ish to buy. The question is deposit and it appears that 5% deposit is possible but even 10% is not an outrageous sum. So a couple ( or couple of mates) would not require large salaries to get on the property ladder. Clearly London and surrounding areas have jaw dropping prices but outside this area it seems not too bad. It helps to be born with well off parents but then wasn’t it always ! Must admit I buy latest large screen iPhone , keep two years and then gift to family member, who in turn passes on previous one to family member, then repeat. £10 a week and keeps three people happy. 12p per hour of screen time across the three phones, does not seem expensive in the grand scale of things ! It’ll be interesting to see if the injustice (any success being largely decided by birth) in this country can ever be painful enough to provoke any real change. English history gives examples of civil wars, like the (currently still non-violent) evenly matched brexit divide consequently delivering this slow burning suicidal stalemate, but no serious revolutions like the French or Russians had. Do the masses have it in them, to see past the daily, simplistic, distractive dogwhistling at easy scapegoats, to be able to wrench back a fair deal from their overlords, as was forced in the postwar shake-up when the aristocracy was weakened. Or like Easter island’s human dodos, will they keep chopping the trees down, while maintaining their blind faith that it will all be alright in the end, electing ever more extreme narcisists who promise them whatever they want to hear. When even civilised countries are exhibiting the same hysteria and so there are no relatively safe assets to invest in to protect your life-savings or grow earnings, let alone safe havens to emigrate to, how do you weather the storm of ignorance this size? I’m struck by how close the house-owning figures for the top three quartiles are. The lack of geographical analysis may explain part of this. The journalist’s discussion manages to elide the concepts of wealth and property wealth: is he being dim or dishonest? All in all, there’s not much interesting analysis in the article at all. The fourth quartile figure is still rising smartly at an age where the lines of the other quartiles are flattening. The gap, in other words, is narrowing. Is that perhaps why the figures are stopped at age 40? It wouldn’t be much of a scare story if all the lines reach about the same number at age 60. Surely the best David Lammy youtube is this one? “I feel inadequate …”: I offer my customary advice to Englishmen crippling themselves with class consciousness – get off your effing knees! “It’s not for the likes of us”: oh yes it bloody is! The Alex Andreou tweet is the epitome of pithiness. I doubt I have ever read anything so succinct for years. I have issues with the chart too. If I buy my 1st house, then my parents buy their 1st house. What happens then? What about if my parents sell theirs before I buy? 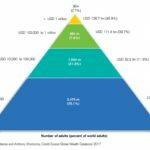 Is there really exactly 25% of the population without property wealth? Exactly 25% with seemingly completely different house buying habits to the other 75%? I don’t have a problem with them comparing the top 3 quartiles with what may be a sub/super set of the 4th quartile. But they need to make that clear. 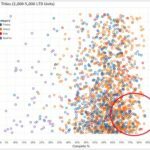 The UK property market is simply a function of a tax system (council tax) that was set a quarter of a century ago in nominal terms and has never been updated. Bring it up to date, say by making council tax a percentage of the property value, and the economics of the whole of the UK change. Suddenly people would view rising house prices in a different light. @Ben, I was turning your point over in my mind early this morning. What was the historical maximum proportion of the parental population that owned property? Presumably 70% or a little higher? So maybe the distinction is essentially between people whose parents owned property at all (Q1 – Q3) and people whose parents owned none (Q4). Therefore apart from the question of “property wealth” there might also be a simple question of family experience. But if indeed the lines all ended up at about the same place at age 50-60, once again I’d conclude what a remarkably equal society Britain is compared to the lame stereotypes. After all, Q4 won’t just be ordinary families who for some reason have never bought a house (including those who know they are on a good thing occupying subsidised rental houses, or those who live in “tied cottages” – as I did for a while, long ago). There will also be parents plagued by poor physical or mental health, low IQ, inability to retain a stable family unit, criminality, addiction to booze, gambling, or drugs, demands on their time and income to care for family members, and so on. It might be interesting to break out that Q4 data to see what sort of parental variables dominate the correlation with their children buying property. It might prove my guesses at such variables quite wrong. Though I doubt the data will be dominated by parents who decide to eschew buying a house so that they can plunge all their surplus income into the stock markets. 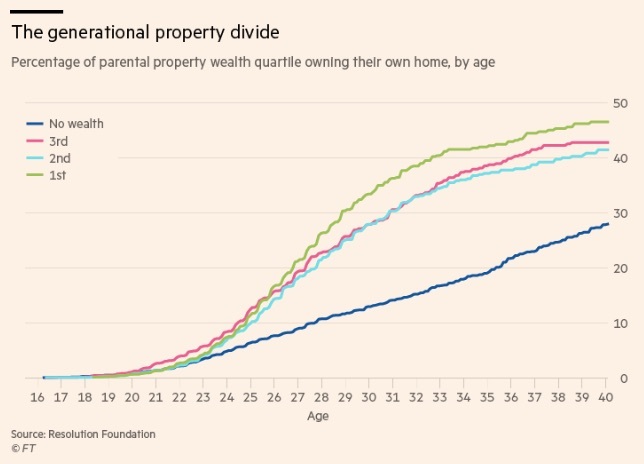 I don’t think the FT article on housing is particularly strong because I’m not sure the issue is really about the 25th vs. 75th percentiles. The title of this post, however, hits the nail on the head about how we now operate by “feudal dues”. The wider population still seem to be taken in by the delusion we operate a meritocracy. This seems designed to make people accept the head start that comes from extreme intergenerational wealth and privilege (public school, network) is actually “hard work” while demonizing those not born into privilege. It ingrains inequality and needs to be consigned to the same dustbin as “trickle down” economics. I’m not quite sure whether what we are seeing now is “neo-feudalism” or just the old feudalism reasserting itself after a brief fling with democracy. I caution anyone unfamiliar with stats that “explain” needn’t mean ‘explain’, as in establish a cause. It’s a statistician’s usage, to do with correlations and analysis of variance. Similarly “significant” doesn’t mean large, substantial, signifying something important. It means that their sums imply that they’ve identified an effect that’s salient even against the background of random variation aka “noise”. Casual observation suggests to me that major confounders for almost any social outcome you like to think of are probably, in some order or other, (i) health, physical and mental, (ii) IQ, (iii) personality type – conscientiousness and whatnot (the mnemonic for which is CANOE). I can’t expect The Government to have stats on such things (I’m impressed that it even has useful stats on people’s wealth – how the devil did it get them?) But anyone guddling about in sociology really ought to consider the possibility that these things matter; to ignore them would make the “social scientist” potentially blinder to reality than the man on the Clapham omnibus. Only got time for a quick scan do far. They’re still conflating lower quartile with ‘no property wealth’ so will have to read more closely. It also says it will take the average 27-30 year old 18 years to save a deposit, from disposable income. So assuming you went to university, started saving when you graduated you’d be 39 by the time you had scaped together a deposit (incomes rise with age, so this evens out?). Fine if you’re living in Knightsbridge, but then wouldn’t you move somewhere cheaper? And how are they measuring disposable income? Before or after the avocado toast? I’m not convinced by this study. If the lines did converge at 60 that wouldn’t indicate equality in a roundabout way. Those who finally scrape together their mortgage deposit late in life are in for a rough old time. Agree the chart is confusing. The narrative refers to quartiles, but the caption on the source chart clearly says tertiles – thirds. > Proportion of homeowners (inverse of Kaplan-Meier survival estimates), no parental wealth and tertiles. @ ZXSpectrum48k, agreed, the old elite were shaken up so thoroughly by WW2, that they lost the choke-hold on power they’d enjoyed until then. That’s why the generation born straight after had the best ride in human history before and since then, the golden generation or boomers. Inevitably though, given their entrenched advantages (if you lose all your wealth in the war but still have ingrained cards to play, like connections or skills bought previously) gravity soon reasserted itself and they re-ascended the heirarchy. Now they both cement their positions and can turn the dial back to feudalism by lobbying (glorified bribery) the political establishment to create laws that protect their wealth as well as grabbing what remains in the hands of the 99.9%. We are living in a new robber-baron age that Adam Smith warned against, so this is neither capitalism nor democracy, just kleptocracy and idiocracy. I have worked in the IT business for a lot of years. I watched the great outsourcing wave happen. Initially the people we brought in were poor, overwelmingly from India. Over the years that has changed. A lot of come and gone, but a fair few remain. They are not poor anymore. Talking to them they are house owners, they are driving nice cars some are now landlords. All the trappings of western wealth. A real sucess story starting from less than nothing and with a language barrier to overcome. Basically if you can’t make it in this country the problem is you. @Martyn — Hmm. So it’s a coincidence that more of the ‘problem Yous’ are from poorer backgrounds and more of the “right Yous” just happen to be from richer backgrounds? Of course we both know I hope that’s ridiculous. 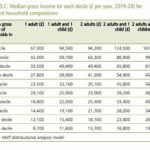 The reality is the children of the wealthier have a ton more breaks, as we often discuss re: inheritance tax. I don’t believe there’s an infinite amount to be done about this — I’m not an infinitely redistributive socialist or anything like it — but a good start I think is to have our eyes open. On an individual level I think your observation is on point. Practically it’s the best way of seeing the world. One life: play the cards you’re dealt as best you can. But on a societal level, as to how we best arrange the carrots and sticks, different criteria apply I believe. As a 36 year old graduate – I have seen how buying a place before 2007 meant riches for many but if you bought after that you may have actually done badly out if property. For a large number of reasons, many people have seen the value of their property increase by more than they ever spent in buying it, doing it up, maintaining and paying the mortgage. Include the inputted rent and they are people for whom the house has acted like a 2nd or 3rd income- that’s like people who bought at 20 and at 60 are sitting in a house worth half a million and all tax free. For millenials that process has not been repeated and the cost of property is being felt not just by those who are forced to rent but those that buy too. It’s shameful that this is where we are now and I don’t blame anyone under 40 thinking of leaving the UK. Boomers were born into a UK that still had rations. Notting Hill is the home of Carnival because it was once home to migrants from the Caribbean, not fops selling books to reach other and working in the city. Housing was cheap because Britain was poor. 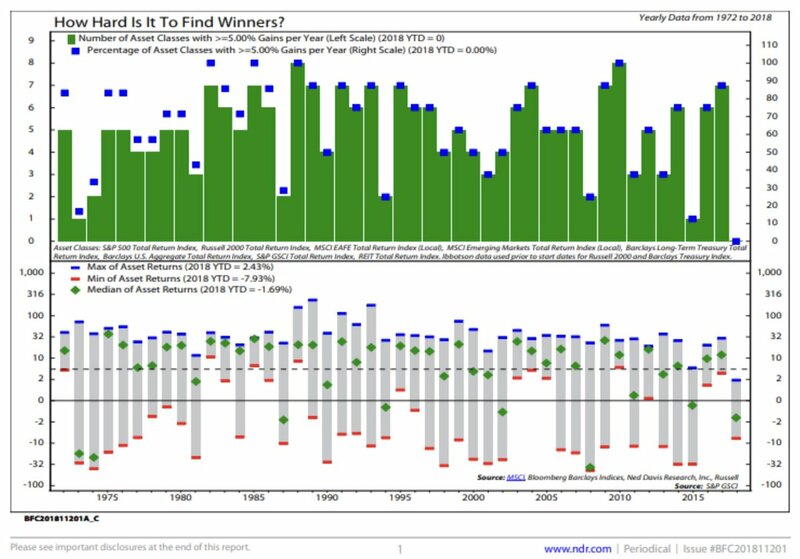 Will the decline of stocks see most investors move into property ? House prices are clearly far more resilient than stock prices and with rent income every month it just seems the best investment at the moment . I can’t see a house price decline coming in the near the future because population growth is still so strong. @TI. Not sure who you characterise as the wealthiest re IHT. I am reasonably comfortably off but the IHT manoeuvres available to me that would be meaningful to my children aren’t obvious unless you mean give money away and hope to live 7 years. However isn’t that just a consequence of having sufficient money, and the fact that the tax regime doesnt penalise you seems hardly an injustice to anyone, except Robin Hoods. In earlier days, before the banks were allowed to give mortgages we were all encouraged to open Building Society accounts in the belief they would favour you when you went looking for a mortgage. The anxiety about home ownership hasn’t always been here, as the opportunity wasn’t plausible for many. It was the big boom in house building after WW2 that made home ownership for the majority a possibility, and with it came this British anxiety. Please don’t think we didn’t have the same pressures as you have now, although we did own a sh*t less stuff and drastically fewer sources of distraction and entertainment. @ Neverland, It’s the natural conclusion of grooming a populace from birth to be the best little consumers they can be and not think for themselves. Sheeple only stampede when somehow agitated, (see black friday videos) they don’t revolt, just reduce to vague fatalism. The electorate is infantilised, so even the obvious, simple solutions to the many structural problems this country has can be ignored; as you point out, Singapore is often touted as a corporatist state, yet could only dream of the corporate capture we live with here all day. “the old elite … they lost the choke-hold on power they’d enjoyed until then” Oh what rubbish. The two most important people in Britain in WWI were the PM, David Lloyd George, who grew up in very straitened circumstances, and the Chief of The Imperial General Staff Wullie Robertson, who was a village boy who’d joined the army as a private. Another VIP was Jan Smuts who was a farm boy from the Cape Colony who had fought against us in the Boer War. He served in both the British cabinet and the Imperial War cabinet. Choke-hold, indeed. You are dealing in stereotypes not in history. Good Lord, go back to Henry VIII. After the old monster himself the two most powerful men in the kingdom were, successively, those arch-proles Cardinal Wolsey and Thomas Cromwell. @dearime – Spot on! The ‘sheeple narrative’ propounded by a few regulars round here is complete garbage. It’s painfully narcissistic to read. A psychologist would have a field day unpicking it. Rules in Singapore are based around being told where to live…. Owning a home can definitely be worthwhile. It really comes down to a lifestyle decision. For a bachelor with little ties or need for the fixings of home (a backyard for the kids and pets, etc. ), renting can be a way to keep costs down and live light. While there isn’t equity being built, there are plenty of fixed costs in a home that can be a drag on savings/funds for investment as well (fixing a furnace/roof/driveway, etc.). But, exceptio probat regulam in casibus non exceptis. @all — Okay, can we draw a line under this kind of stuff here please. It’s not really constructive for the purposes of this website. Let’s stick to facts, and playing the ball not the man etc. Based on some comments above, we seem to be intent on dividing ourselves and belittling others, e.g. London/not-London, south/north, younger/older, clever-but-foreign/not-so-clever-but-native. Looking at all the house building going on round here ( Bedford), it’s hard to believe there is a shortage in actual units. Don’t know where the people who will live there eventually actually live now. I can see there being an overhang in selling these things so won’t be buying shares in housebuilders. Is the problem with high house prices not much more than the fact that belief something will always go up in price will make that happen, until it doesn’t? LEAKED: Footage From Inside No. 10 Downing Street! Thanks so much for sharing my article from retirementfieldguide.com. Much appreciated! Isn’t one problem simply that Brits have become so obsessed with house ownership and house prices always going up that it’s now part of our nature and drummed into us from an early age? I’ve lived in France, Germany and Italy and there seems to be a different mentality; your house is somewhere to live and if it does go up in price, well, that’s nice, but it’s not the end of the world if it doesn’t. Here in North Italy, house prices have gone nowhere in real terms since the crisis. On the contrary, if I use my own way of measuring inflation rather than the accepted practice of ‘let’s calculate the CPI to keep it as low as possible’, the prices have gone down. I remember in France how people ‘didn’t’ want their house to increase too much due to the dreaded property and wealth taxes. Thus we were treated to the amusing sight of some places kept looking tatty from outside while the interior resembled the Versailles palace. Re. the building in Bedford, my relatives live in a village not far away on the A1 that now has planning applications all around it. The village already has too many cars parked along the main roads and people are wondering just how the infrastructure will cope since the Primary school is already full and turning people away. The number of cars getting on/off the A1 causes long delays, and the building of new houses hasn’t even started! Housing: an emotive subject, indeed. I finally looked at the whole paper, and can definitely agree that it helps in life to have chosen the right set of parents. Some people have mountains to climb, in terms of wealth, intelligence, observed behaviours, as soon as they’re born. Looking at it as a whole, the comparison of home-owners between generations by the age of 30 is slightly problematic. The summary focusses on 30-year-olds (the later stats allows in 35-year-olds). But most boomers will have started work at 16-18, the vast majority not being university educated. Today’s graduates are getting older (qualification inflation…), so they’re starting work at 22-24. Those years can make a big difference regarding where you are at 30. No wonder BOMAD (if you’re lucky) is being accessed. Non-graduates, in the right vocation and region can be in a better position than some graduates by 30, don’t you think? @Rhino: with so many biases I’m amazed I can hang a bauble on a Christmas tree! I may enlist the kids to arts&crafts up a complete set of cognitive bias baubles, that should keep them quiet right up to the big-day? Thanks for sharing the link to Chris Sacca’s blog. He’s one of the slightly lesser known Silicon Valley entrepreneurs but he’s very insightful and he has a fun background. If you ever think that you can’t rebound from a failure, check out his bio! Also, we can argue on the methodology of the study but it is undeniable that the broader picture is correct: the bank of mum and dad is a big boost in buying a home, and that bank has a lot more firepower when mum and dad own their home. Debate: Should you count your own home in your net worth ‘number’? What is a sustainable withdrawal rate for a world portfolio? Weekend reading: Don’t mess with pensions. They’re working. How did Warren Buffett get rich? Investing for beginners: Why do we invest? Could global prime property be the canary in the goldmine? Monevator is a place for my thoughts on money and investing. Please read my disclaimer. You can send me a message. Stay updated via RSS, email, Twitter, or Facebook. (Instructions). Copyright © 2007-2019 Monevator. All rights reserved.